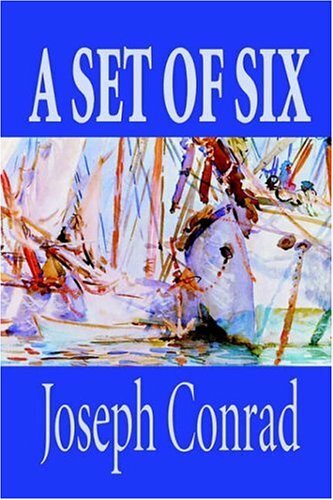 A story of a young, idealistic Englishman who is disgraced by a single act of cowardice while serving as an officer on a merchant-ship sailing from an eastern port. His life is ruined: an isolated scandal has assumed horrifying proportions. The story taking place at sea, is told from the perspective of a young sea captain. Not knowing his crew ahead of time except for the previous night, he struggles to see if he can life up to the authority role that is a must among captains. by Joseph Conrad - Methuen & Co.
A century after its publication, Under Western Eyes is as compelling and as relevant to our own age as it was to an earlier age of political terrorism. The depth of the characters and the moral power of the storyline make this a must read for all. Captain Tom Lingard comes to the rescue of an English yacht that has foundered in the shallows just as war is about to break out between Malay tribes. Tom has war supplies including gunpowder stored in his own boat that has been turned into a fort.